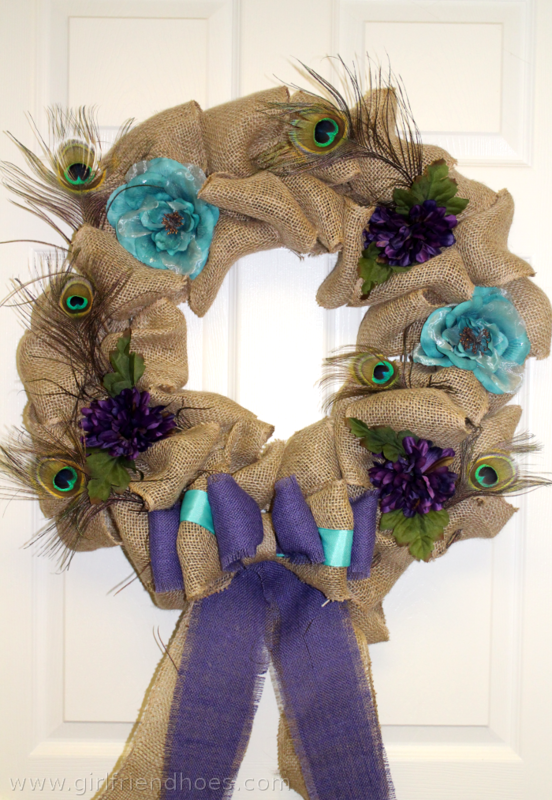 I really wanted to make a poufy burlap wreath, I think they are adorable. One day I noticed the rolls of burlap were on sale at Michaels so I thought it was the perfect time to try. I found a tutorial on how to make the burlap poufs and went to work. I made the poufs in groups of 1 and 3 and attached them with wire. 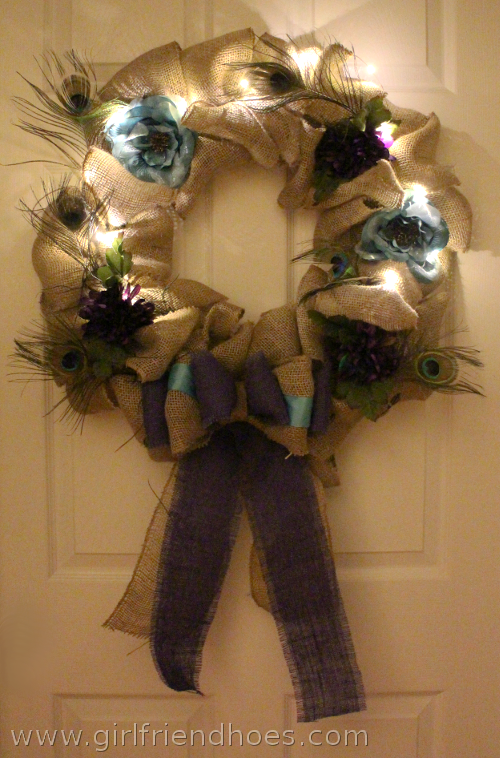 It took forevvvver and since then I found some way easier burlap wreath techniques where you just wrap the burlap in and out of the wire sections. 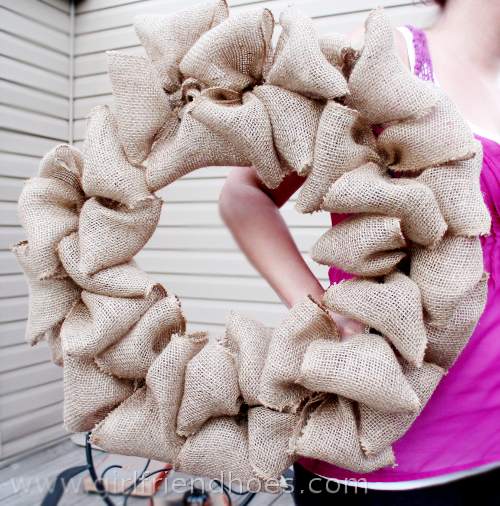 Here’s an easy burlap wreath tutorial. I picked my colors, purple & teal for the flowers. It just worked out that they matched perfectly with my colors. They are so pretty and vibrant! I had a bit of trouble with the bow. I should have looked up a few tutorials on how to make a burlap bow. Now I’m thinking maybe I should add some more teal ribbon to the bow, this is where you can help me out, what do you think? Leave it as is or add teal to the bottom hanging parts? I added a string of teeny tiny fairy lights and hid the tiny battery pack inside one of the burlap poufs. I think it’s a nice touch for dimmer lighted areas. I had fun making this wreath and am excited to make some more Fall wreaths and a few Christmas wreaths as well. I think these wreaths would make a great gift idea. They are a really nice size, I bought the big wire frame. Sorry, I can’t remember the size in inches but there were two to pick from and I chose the biggest at $6.99. This wreath cost approx. 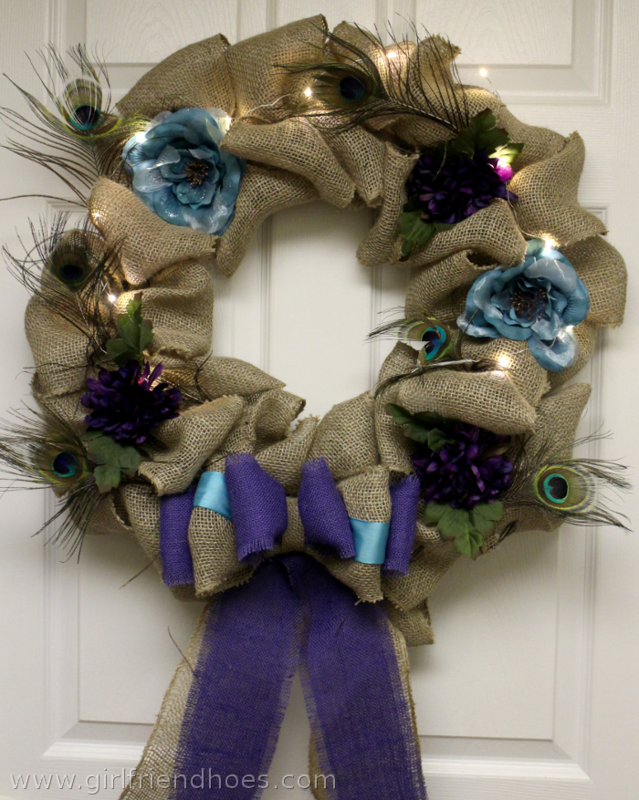 $40 to make because I added the fairy lights and the purple burlap but making these for less is extremely possible. 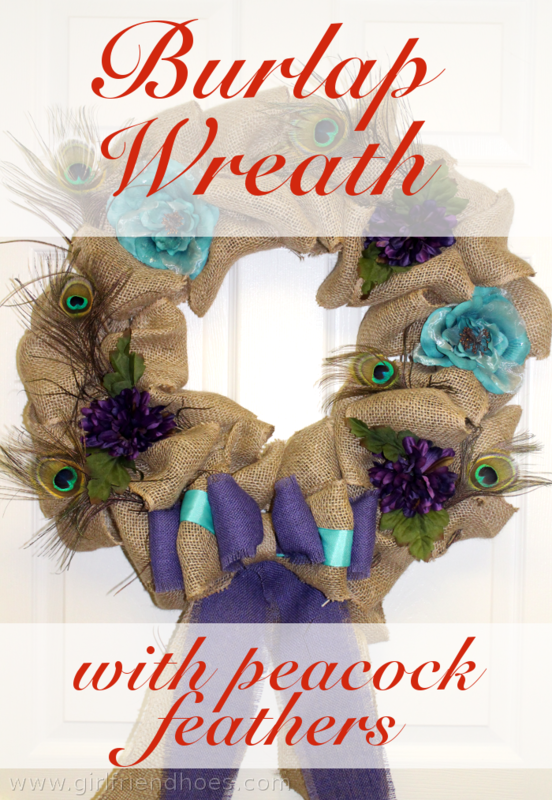 If you like this wreath please pin it!